Tearing down the four Snake River dams would be a disaster for the region. Taking action to protect salmon runs in the Snake River makes sense. But an option that is simply not realistic or prudent at this time is breaching the dams on the Snake. Given that, the legislation proposed by U.S. Rep. Cathy McMorris Rodgers, R-Spokane, U.S. Rep. Dan Newhouse, R-Sunnyside, and other legislators to protect the dams from a federal judge's overzealous views make sense. The proposal would keep in place the Federal Columbia River Biological Opinion (FCRPS), until 2022. It's a plan created by a collaboration of federal agencies, states and tribes to protect salmon while operating dams. 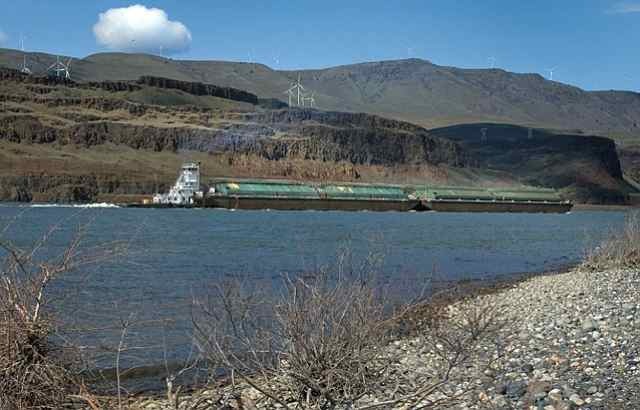 "Hydropower provides 70 percent of our energy in Washington state -- much of which is produced on the Federal Columbia River Power System," said McMorris Rodgers. "The FCRPS ensures people in Eastern Washington have access to clean, renewable, reliable, and affordable energy every single day -- all while achieving record fish returns. There is still work to be done, but dams and fish can coexist, and the FCRPS proves that." According to the Tri-City Herald, the proposed legislation would effectively overturn an April decision by Judge Michael Simon that would require the Army Corps of Engineers to spill more water for fish at eight Columbia and Snake river dams starting next year. In addition, Simon requires that taking down the dams be considered. Along with the reduction of the generation of hydroelectric power, spilling too much water creates high gas levels in the water that can harm juvenile fish. The effort to ensure salmon survival must consider the overall impact to the environment, the economy and our lives. Tearing down the four Snake River dams would be a disaster for the Pacific Northwest. The water from a free-flowing Snake would flood farms, roadways, homes and even cities. But the action would not necessarily be a boon to salmon runs. It is unrealistic to believe the hands of time can be turned back. Dam breaching has been studied, studied and then studied some more. 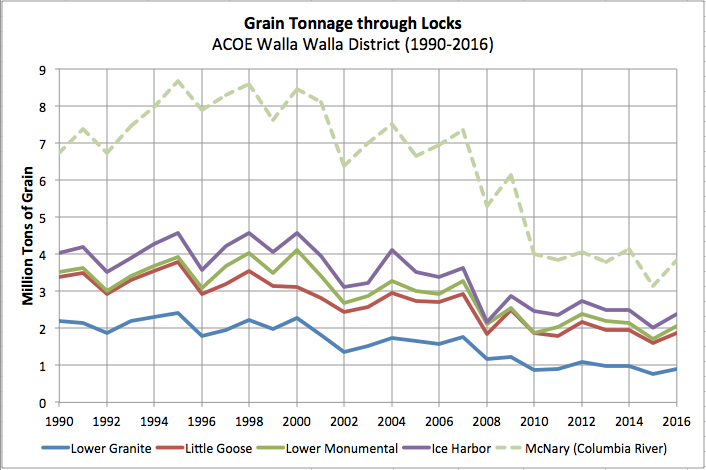 A 2001 study by the U.S. Army Corps concluded breaching the Ice Harbor, Lower Monumental, Little Goose and Lower Granite dams would increase the chances of salmon restoration only slightly -- if at all -- while significantly hurting the Pacific Northwest's economy. Crops and other goods could no longer be barged down the river, forcing the products to be hauled by trucks on the roadways. Boosting the truck traffic would be environmentally irresponsible. About 3,700 farmers grow wheat and barley in the region, most of which is shipped to Portland to be exported overseas. A tug pushing a barge can haul a ton of wheat 576 miles on a single gallon of fuel. The loss of hydropower would also be a blow to the environment. The dams are in place, they serve a critical purpose and they must remain.